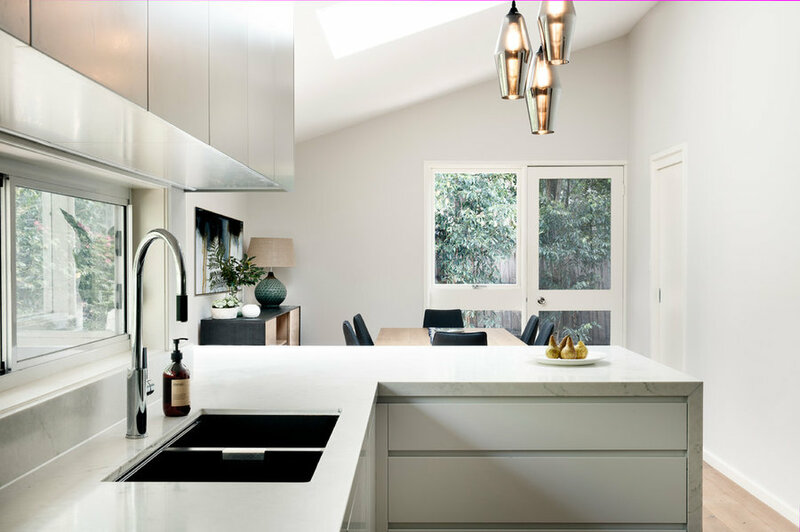 A contemporary renovation of a mid-century style house. 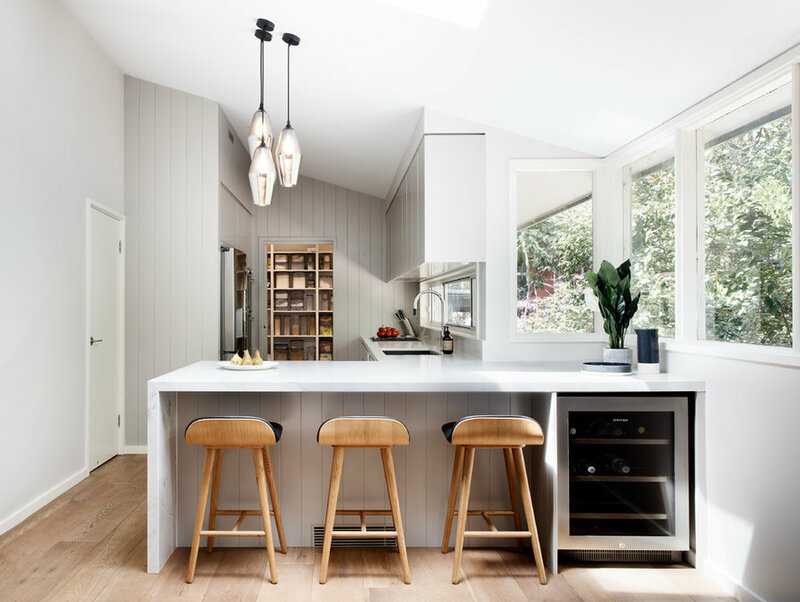 Subtle elements such as the addition of painted V-board panelling, a trio of glass pendant lights and oak timber mid-century style furniture provide the perfect link to the heritage of this home. 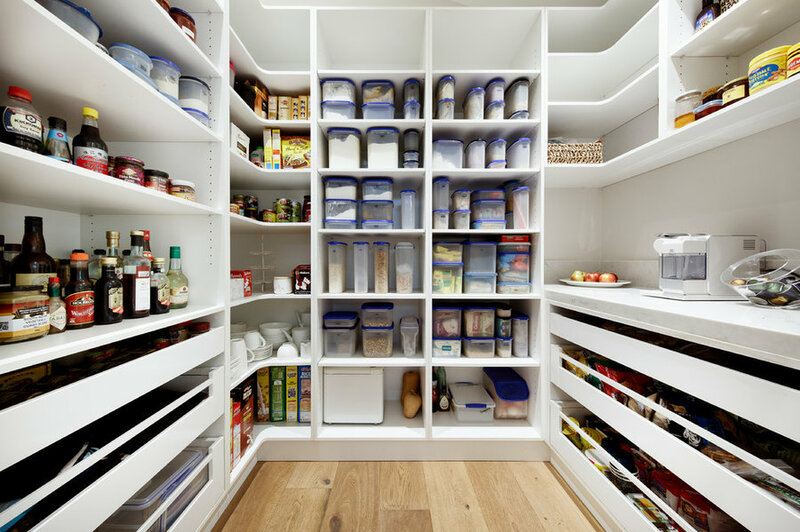 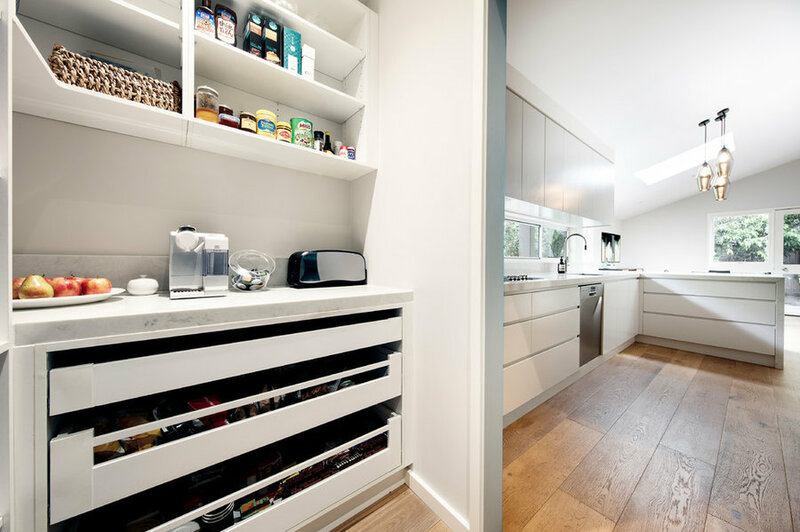 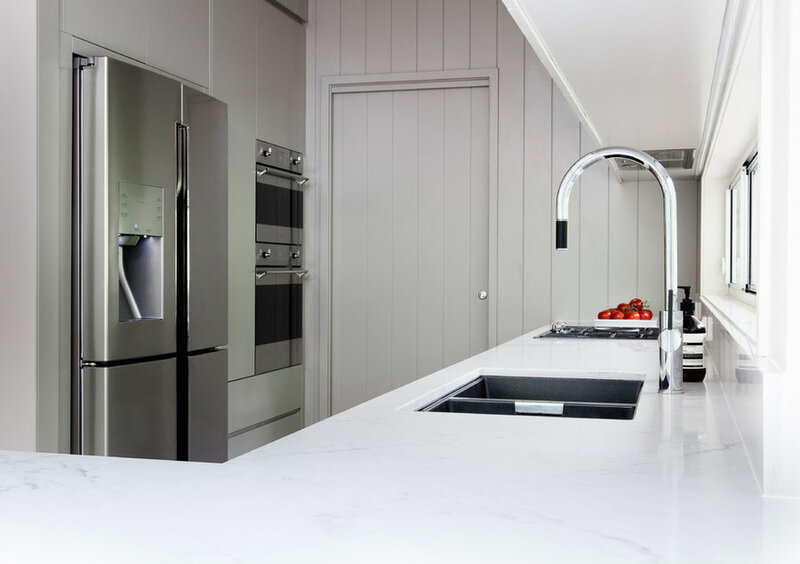 The kitchen space was enlarged to provide a spacious walk in butlers pantry and the window above the sink was elongated and reduced in height to allow for overhead cabinetry and a streamlined splash back window. 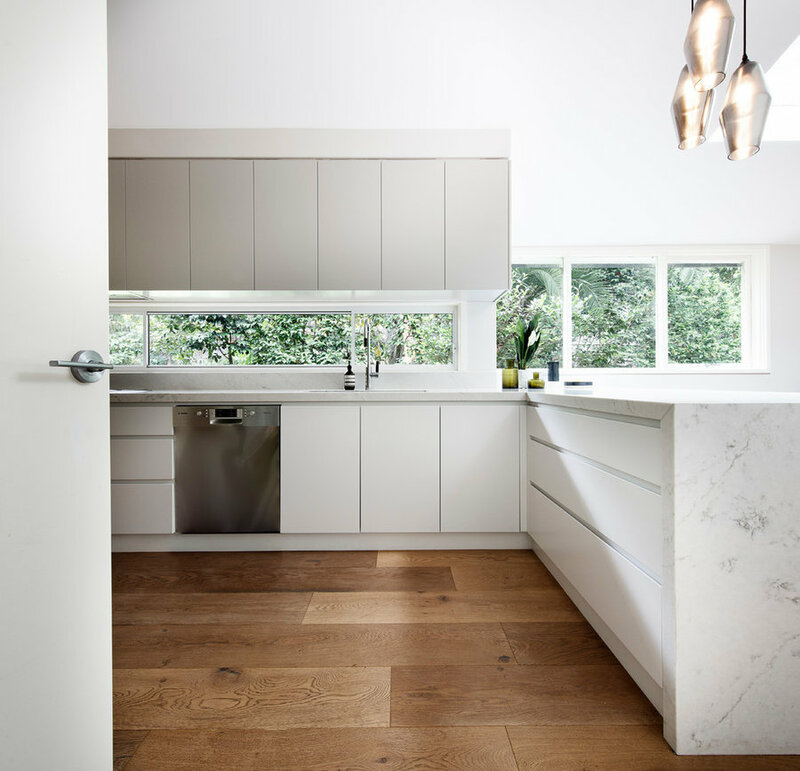 A palette of soft green based greys, off whites and warm timbers were selected to link to the Australia native bush surrounds. 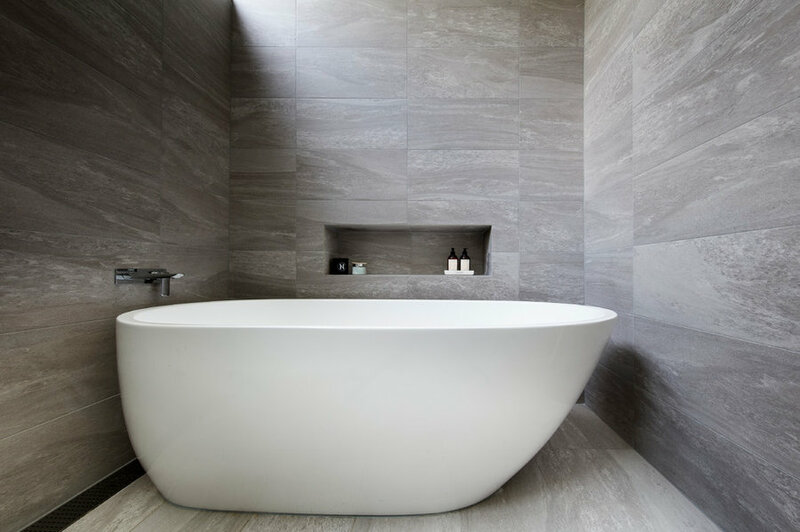 The family bathroom layout was changed to provide ample storage and and an organic curved, freestanding bathtub. 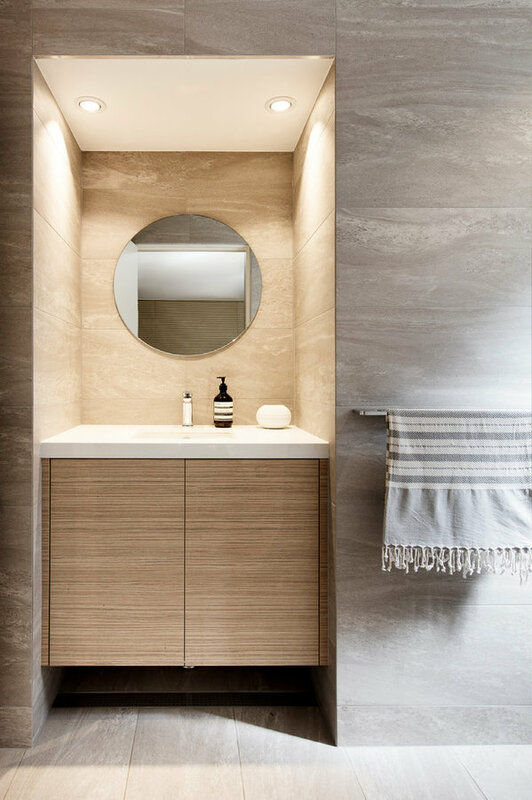 A soft grey, limestone look, porcelain tile was used on the floor and walls, which are offset beautifully by crisp whites and the warmth of the oak timber vanity. 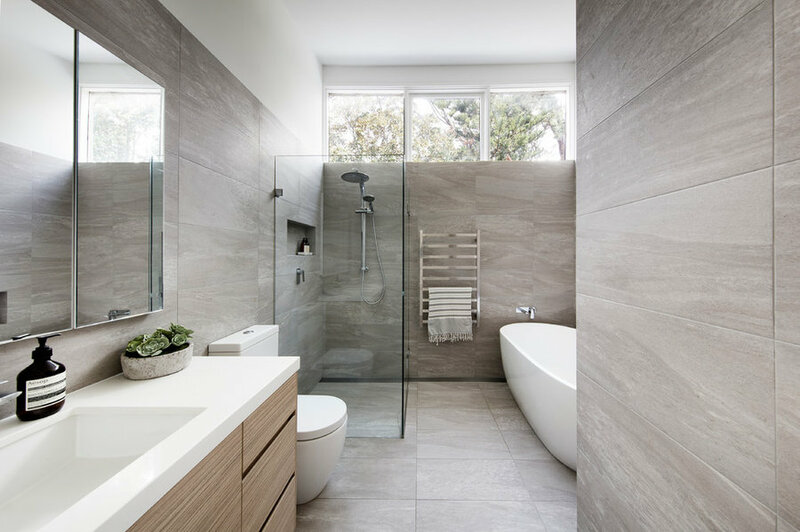 The updated spaces link together harmoniously via the neutral grey, white and timber palette, creating a calming, natural feeling environment.